Through 5/26, head over to CVS where you can score the Neutrogena Facial Bars for just $0.71 each (regular $3.49). They are currently priced at $3.49 each and buy one get one 40% off. 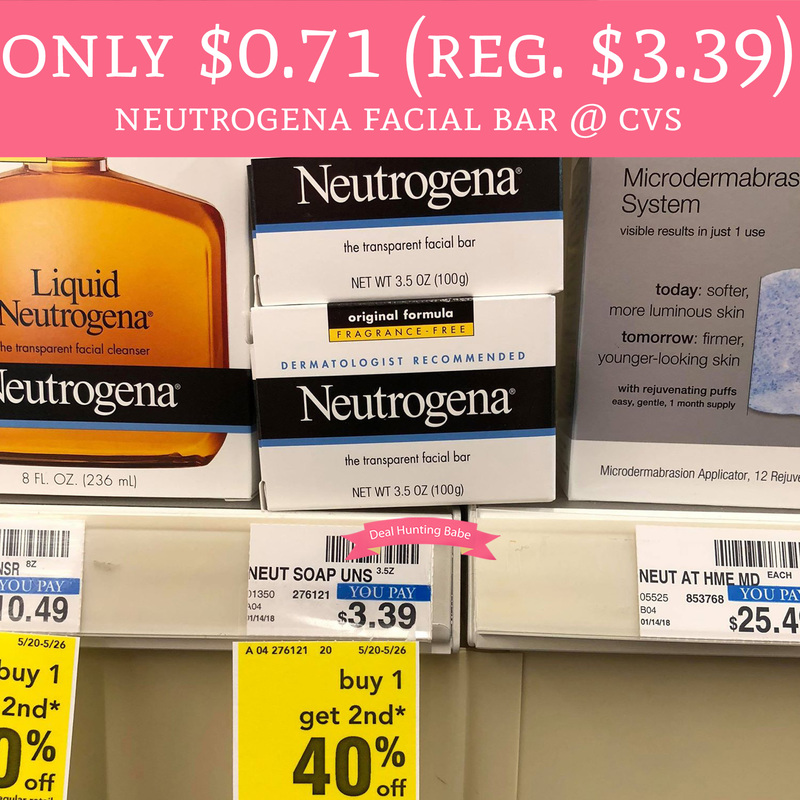 Plus, we have a $2 Neutrogena Product printable coupon and a $2/1 Neutrogena Product in app coupon to make each bar just $0.71! Final price $1.42 or $0.71 each! !